Practical and strong. Our Artiss Display Shelf has everything going for it to keep things neat and tidy. With two display shelves and one 2-door closed cabinet that can carry up to 90kg in total, the display shelf is sturdy enough to hold a variety of things, from books to collectibles. The two sliding doors enable easy opening and closing of the cabinet with minimum hassle. 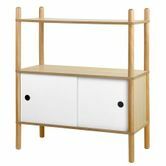 The shelf is made of a durable combination of MDF board and pinewood with a melamine finish for lasting and robust use. Plus, with its raised feet and anti-skid floor pads, the shelf will always be clear of moisture and stand firm and steady. 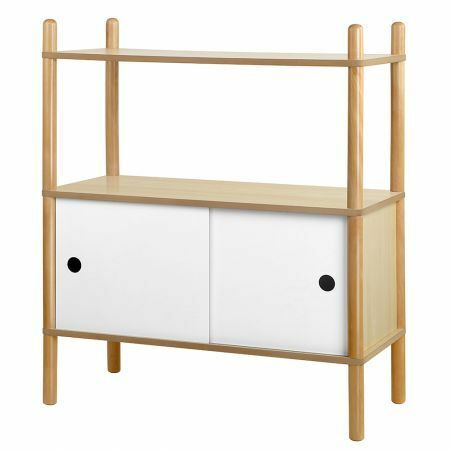 Not least, the shelf comes in a mix of neutral white and natural wood colour that will easily match any room.